Got an iPhone 4S Stuck in Recovery mode or Recovery Mode loop ? No problem if this is your situation then here you’ll find the exact solution without any doubt. The reason I’m saying this with such confidence is because I faced this problem earlier. Because it was my first time I didn’t know what to do and how to exit my iPhone 4s from recovery mode, so I started searching on internet & found couples of way that could kick out iPhone 4S from recovery mode loop but got confused with which one to proceed. Luckily I found a guy on Apple forum who had the same problem before with his iPhone 5c & helped me out to recover my iPhone 4s stuck in recovery mode loop. There could be lots of reason why your iPhone 4S gone into recovery mode loop, it could be due to older iTunes software, Wrong firmware installation, incomplete OTA update, USB disconnection from iTunes while the update is going on and many more. So whatever it be lets checkout how to get out of this recovery mode. The day before Yesterday I was trying to Upgrade my iPhone 4S from iOS 7.0.4 to iOS 7.1.1 through OTA update I received earlier from Apple, everything was fine until I tried to reboot my iPhone 4S at the middle of updating process. Actually I lost my WiFi connectivity while the process was going which make the device stop at 40% upgrading, when I got my connection back updating started but it was damn slow so I tried to stop the 7.1.1 OTA update by switching off my iPhone 4S & this what make my iPhone 4S stuck in Recovery mode LOOP. Every times I tried to switch on my iPhone 4S it straight goes in recovery mode with an iTunes connection logo on screen. 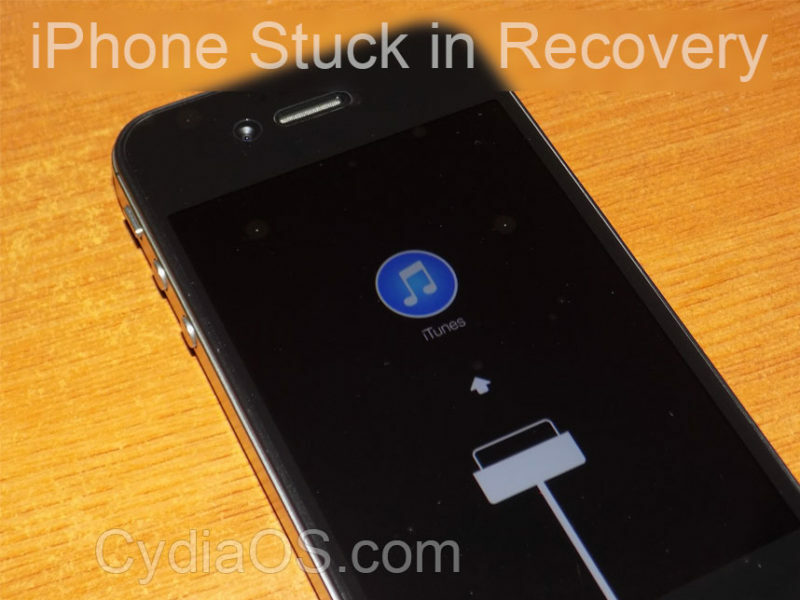 Like I said before there are lots of possible solution to get your iPhone out of recovery mode, but I don’t want to confuse you with so many ways that why below I’m going to describe only two ways that I found best and the easiest to recover an iPhone Stuck in Recovery mode. Just to let you know, though I’m taking iPhone 4S as an example, this guide should work with all i-device such as iPhone 3G, iPhone 4, iPhone 5, iPhone 5C, iPhone 5S, iPad mini, iPad Air, iPod Touch. In our first process we will show you how to get recover this situation with BootRec. BootRec is a software which is available free online for both Mac/Windows. With BootRec one click of your mouse could fix your iPhone 4S recovery mode looping. However there are few case where BootRec don’t work if this happen with you too, try process 2 below. 1) First you need to download RecBoot software if you don’t have it already, here’s the link to download RecBoot for Windows & RecBoot for Mac. 2) Run RecBoot, then connect your iPhone 4S to Computer. 3) Once your iPhone is recognized you’ll find two button on RecBoot window. 4) Tap the Exit Recovery Mode button which is probably on right side. 5) That’s it if you’re lucky enough within few seconds you’ll see the White Apple Logo on your Screen which indicate your iPhone 4S is rebooting to normal mode. If the RecBoot Process worked for you please leave you comment down in comment section, it will help us to understand which process works the most. However if this process somehow didn’t worked for you, don’t worry try the Process 2. TinyUmbrella is one of the most useful tool for iOS user, like Recboot it doesn’t only Force iPhone 4S in or out of recovery. It have lots of uses which is includes SHSH Blob saving. 2) Run TinyUmbrella, on the first run it will start fetching some libraries. 3) When fetching over, and the software window appears connect your iPhone 4s to your computer, make sure your iPhone 4S is in recovery mode while you connect it to your computer. 5) Now look for the Exit Recovery button and click it. That’s it, wait for the device to boot up in normal mode, then disconnect USB cable. Best Cracked Cydia Source to Download Free Apps and Tweaks. Hope this guide worked for you, if you tried any of this guide and it worked for you do let me know in below comment which one you think easier to apply. Thanks for following our guide How to Exit an iPhone 4S Stuck in Recovery Mode Loop, please share and follow us for more guides. Thank you.. Thank you.. Thank you!!! The first option “RecBoot” worked!! It didn’t recognize my phone, but I clicked exit recovery mode and it did it!! Sooo very happy.. It is 6:15pm… I’ve been researching and trying since 10:30am!! Unfortunately I downloaded a bad program that tried to make me pay(even though it said it was free) to save voicemails from phone to computer.. Lesson learned… Thank you!! so…. its really takes such time??? recboot wouldn’t open for me. Tiny Umbrella is telling me that my device is not connected and it is????????? By the way, you can try >>> RecoveryTool Fix Recovery to solve the problem. I don’t think my iphone 5 is staying of DFU mode. 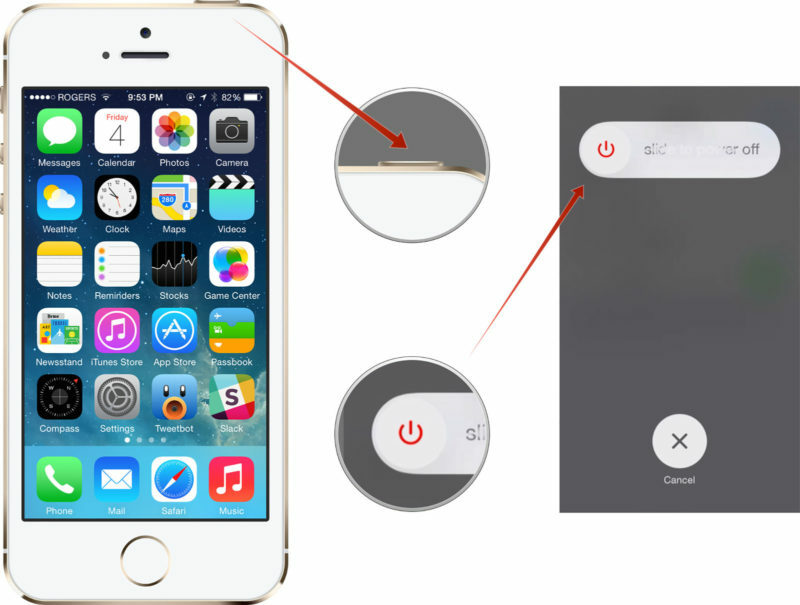 Press down the Home and Power buttons on your iPhone until it shuts off. Connect it to your computer with the USB cable. Press and hold down the Home button. Hold it down until iTunes says your device is entering recovery mode. Now you should be able to Restore using iTunes. Hmm, according to this article: http://support.apple.com/kb/ht4946 you can view that information in iTunes preferences. The instructions are in that article under the section Deleting a backup in iTunes. If you don’t see anything there, it means there are no backups that iTunes can use. ReiBoot does work for me. Hope it can help you as well. Very straightforward and totally free. It deserves a try! I tried it with ReiBoot, what the same does as RecBoot, but if i exited the recovery mode, than it boots up and goes back to recovery mode. So im in a loop and i can try it infinite, but it keeps going to recovery mode… help? Worked for me. Was stuck in a recovery mode 4s — tried using iTunes restore multiple times with no luck. RecBoot worked the first time 5 mins and phone was working again! sweet mother of god…..i tried updating my dads 4s and thought I had broken it when it started going into the recovery mode look. reboot worked for me. I was nervous because it sounds sketchy but it was my last option and i did it. pretty easy and didn’t erase his photos (which he needs for work)… THANK YOU SO. SO. SOOOOO much. it just saved me from a huge problem. i was breaking a sweat. 3hrs tryin to figure out how to fix my ipad 3 on itunes logo stuck, but will this, extract run and clik exit recovery mode,(3 secs!!) DONE!!! u earn a subscriber 🙂 thanks!! RECBOOT helped. at first it didn’t. so I decided to download tinyumbella but I didn’t need to. Try recboot again, (I did it twice and made sure that I was connected to itunes and recboot at the same time) at first I tried doing it while the iphone’s screen was on “connect to itunes”. I unplugged my phone, nothing happened. I did it again but this time at the Hello screen and made sure recboot and itunes where synced to my phone. I clicked exit restore from recboot and waited for something to happened. Nothing new came up so I unplugged my phone. Awe and behold, when I continued after choosing the country, location settings popped out. Hope it works for you guys the second time. Do you have to restore your iPhone again? You could try uninstalling and reinstalling iTunes. You could also try checking out this link. Neither worked for my iphone4s. The first way appeared to be exiting recovery but it got to the same spot where it froze/stopped each time and also stopped. I downloaded java and the tinyumbrella. When I ran the tinyumbrella, it appeared to look for the libraries, then a quick message flashed that it was “unable to validate…” something (I couldn’t read it as it flashed across screen too quickly). My phone is still stuck in recovery. Don’t worry about that. iPhone stuck in recovery mode always happens when you update the iOS on your iPhone. I am using iPhone 5s by the way. What on earth can I do to fix it??? Step 2: Press the “Home” button and connect your iPhone to the computer with data cable, and then release the “Home” button. 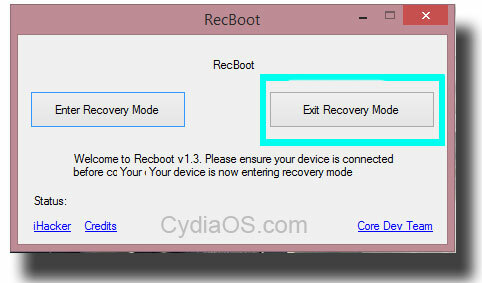 Step 4: It is very easy for you to exit recovery mode. Please press both the “Home”. button and “Power” button at the same time until the LOGO “white apple” appeared on the screen. You can have a try of it if you are interested. If you don’t like the first method, thinking it might be too simple to solve the problem, it doesn’t matter because you have another way to do it! 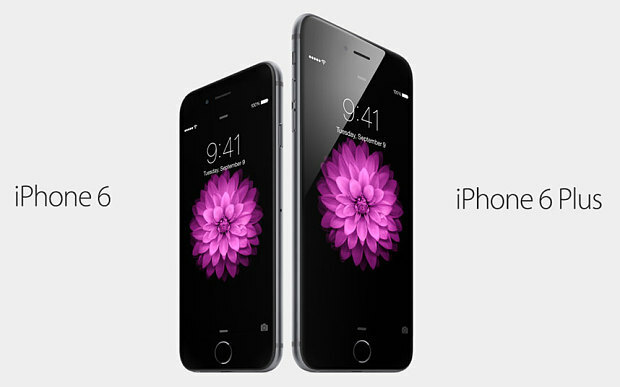 That is by using iPhone Data Recovery which can have the same function of exiting your iPhone from recovery mode. Personally, I think method 2 is better because it can help you to recover your data too. Here are some detail steps to guide you how to do it. 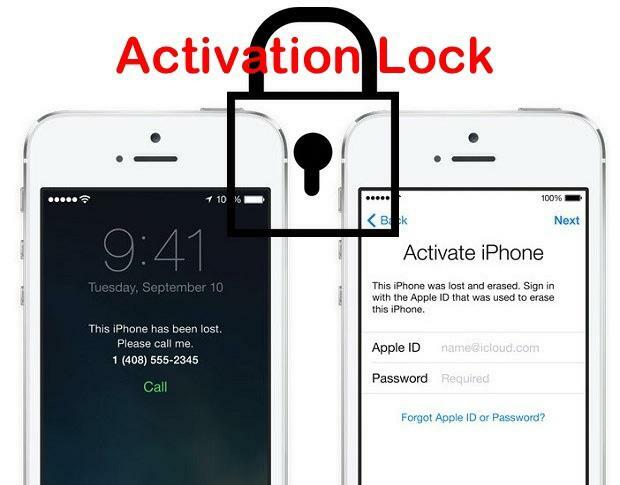 Step 3: Please wait until your device has been recognized, then click “Restart the device” on the screen to exit your iPhone from recovery mode. Then you can have your iPhone back to normal. Thank you! You were right to be confident in this being a fix. It worked immediately for me. Thanks again. I was in the deadly restore loop on my old iPhone 4. Every time it got to the firmware install, it would crash and send me back to the restore start. RecBoot worked perfectly the first time. Took all of 10 seconds to get me out of that never-ending, hair-pulling mess! iMyfone D-Back is a good alternative to Tiny Umbrella and Recboot. Have a try. tanyumbrella works for me Thanks !!!!!!!!!!!!!!!!!!!!! !